Ever since I started work, it is becoming harder and harder to keep this thing updated. It has been such a crazy month and a half, especially with my trip to NYC last weekend but hey, that just means more posts to write! 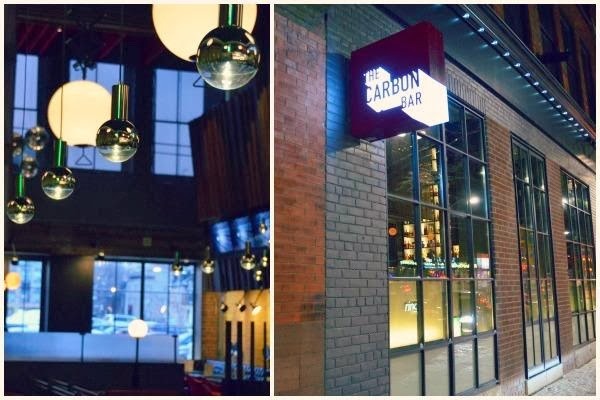 For now, I want to share with you The Carbon Bar, an awesome restaurant that T and I checked out this weekend. 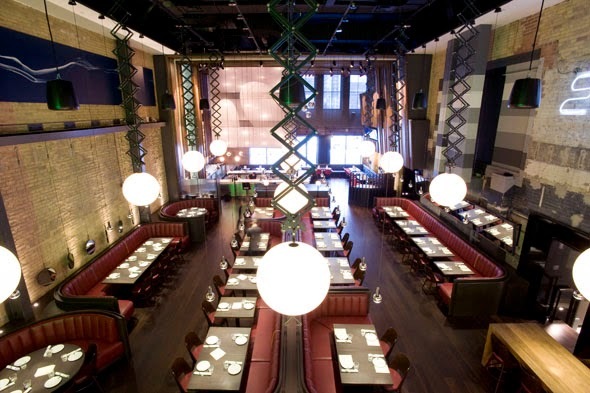 If I can sum up the restaurant in one word, it's just so damn cool. 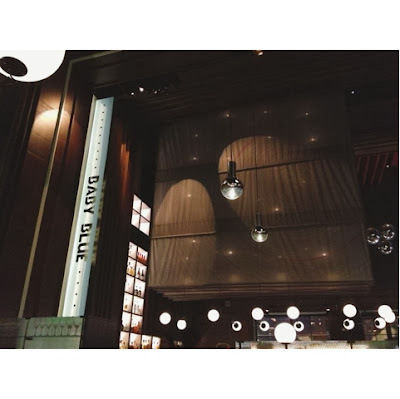 Brought to you by the same owners as Nota Bene, this contemporary Southern bistro is new to the Queen East restaurant scene as it opened its doors this past December. The first thing that struck me as I walked in was how surprisingly big it is was. 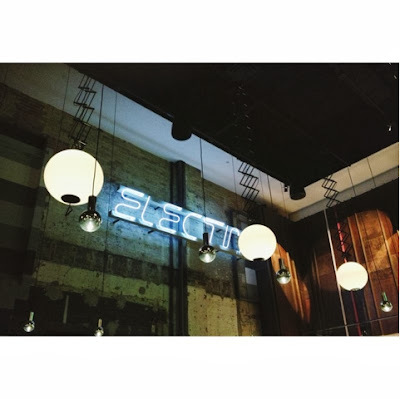 With 30-ft ceilings and a private 2nd floor dining room, the space is complimented with low hanging light fixtures, exposed brick walls, cozy leather booths and neon signage. Oh, and the smell of smoked meat is undeniably welcoming. WHAT IS THERE NOT TO LIKE?! We started the night off with some Rhyme & Reason and a Flying Monkey. 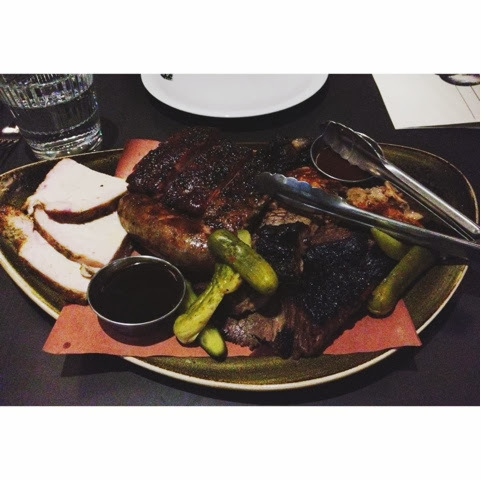 Food wise, we both had one goal and one goal only - load up on some meat. As it was our first time here, there was one thing on the menu that was screaming our name. For $29 a person, The Pit Master is a glorious shared platter of smokey ribs, beef brisket, jalapeño sausage, pulled pork and turkey. Okay, let's be real... we need to try more than just one dish. 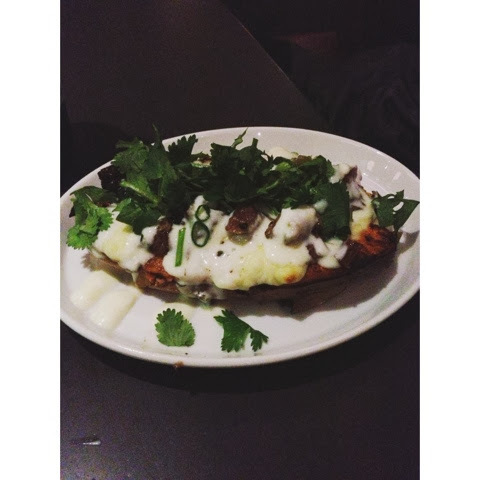 So we opted for Hot Mess - sweet potato topped with cheese curds, crema, picked jalapeño and chopped brisket. Seriously, how could you go wrong with this combination of toppings? 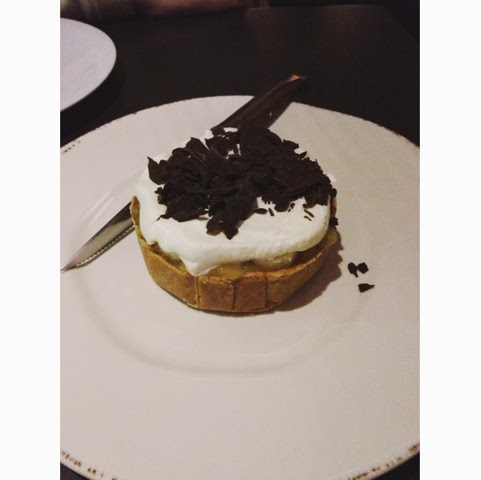 Banana Coffee Cream Pie was our dessert for the night, and was easily one of my favourite dishes. Cold, rich and sweet, this was the perfect palate cool down after such a flavourful meal. 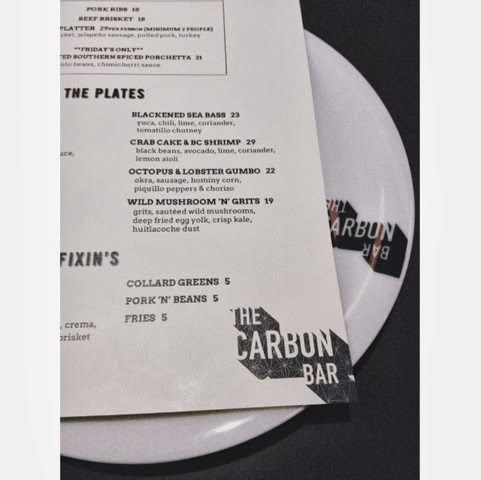 Overall, The Carbon Bar wins with its modern yet unpretentious atmosphere, incredible staff/service and of course, if you're looking for a hearty meal, its food. Bring your friends as soon as you can!